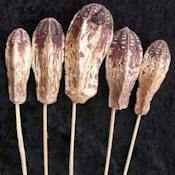 Bear Grass is a amazing grass great for vases, shaping, or weaving. You will love it in any natural arrangement. 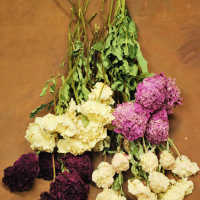 It has personality and will add a lot of volume to your arrangements. It says look at me when you see it with its random stems going everywhere at the end. Give some a try and you will be back for more fun later. Introduce bear grass into your home decorating and crafting ideas and you will enjoy the many ways that bear grass can be used. 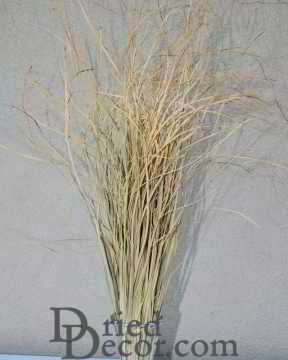 As with all of our products, dried bear grass never needs watering, and will give you years of enjoyment. Case Option: Buy a case of 12 and save big! 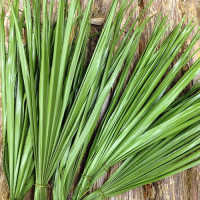 Bear Grass is a amazing grass great for vases, shaping, or weaving. You will love it in any natural arrangement. 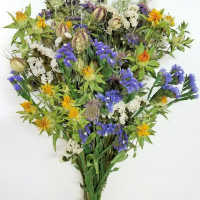 It has personality and will add a lot of volume to your arrangements. It says look at me when you see it with its random stems going everywhere at the end. Give some a try and you will be back for more fun later. 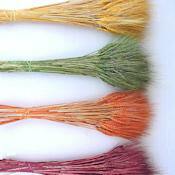 Bear grass is tough enough to weave, and flexible enough to bend. These characteristics make it a natural choice for craft projects. 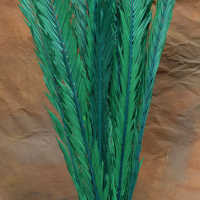 A beautiful wreath can be made by bending bunches of bear grass into circle loops and attaching them to a wreath form. 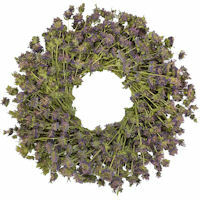 Dried flowers fill the inside edges of the wreath to make a unique and beautiful display. 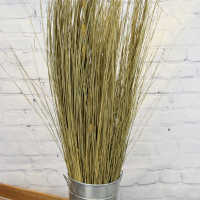 Introduce bear grass into your home decorating and crafting ideas and you will enjoy the many ways that bear grass can be used. 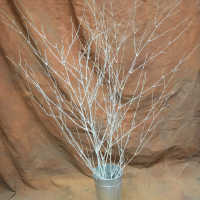 As with all of our products, dried bear grass never needs watering, and will give you years of enjoyment. Great. 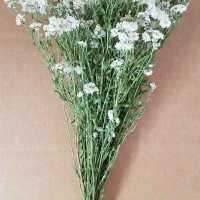 It looked very graceful in the overall flower arrangement, even adding a slight hint of faded green. I will buy from you again depending on future needs. 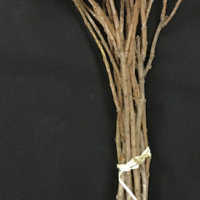 Nice and long strands which I used in a bouquet with the eucalyptus stalks. Very earthy and rustic.